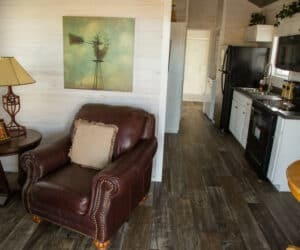 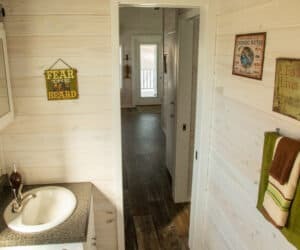 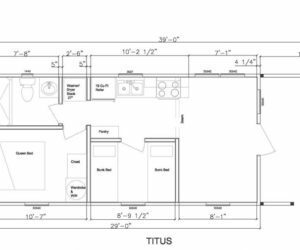 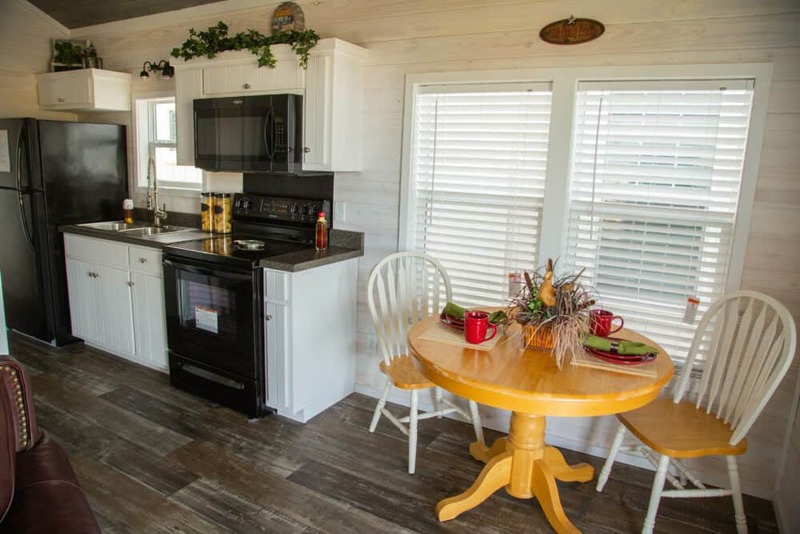 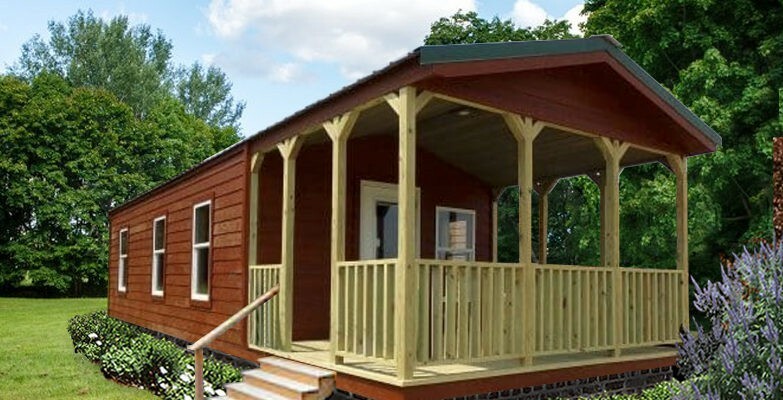 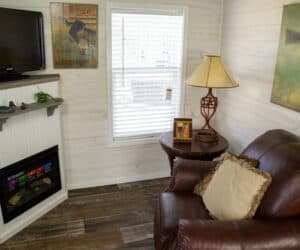 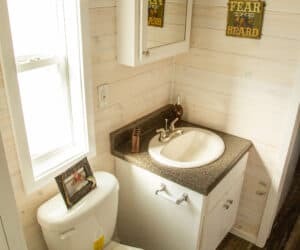 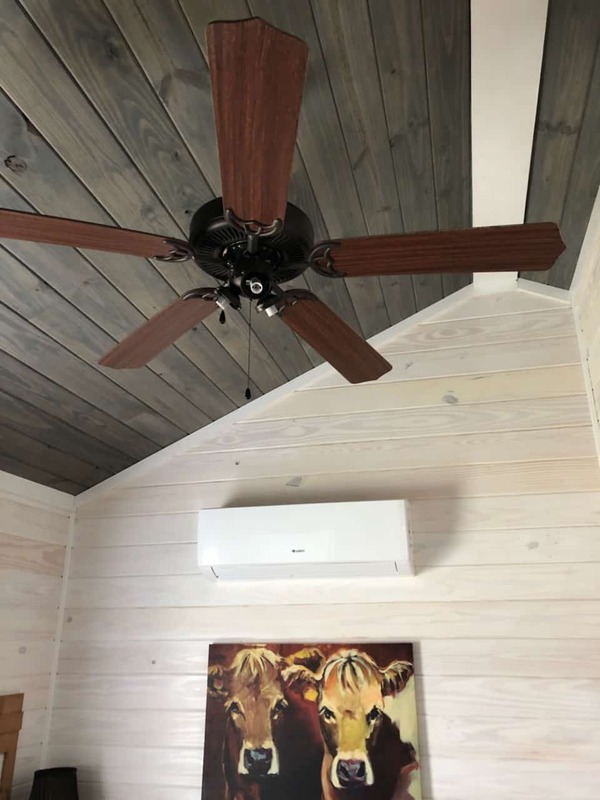 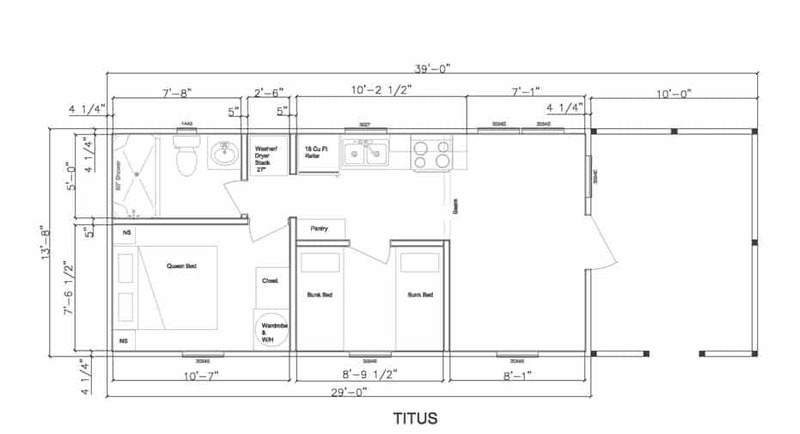 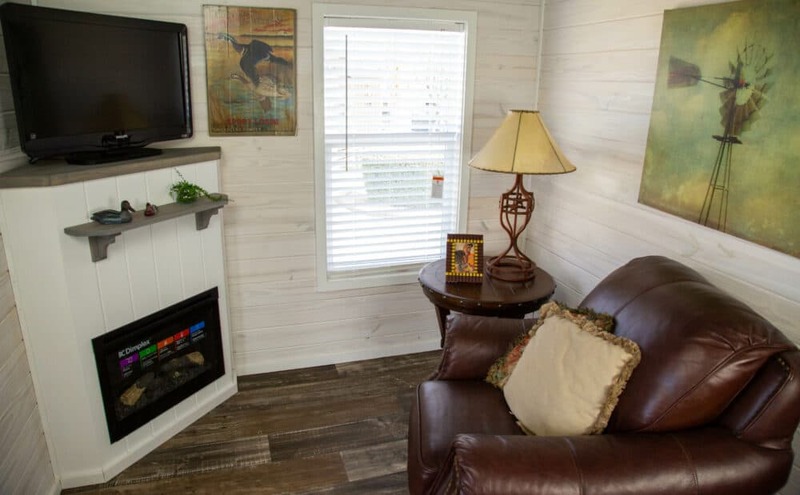 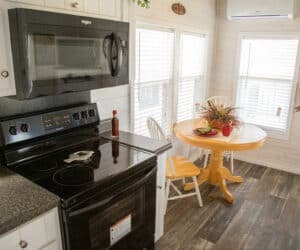 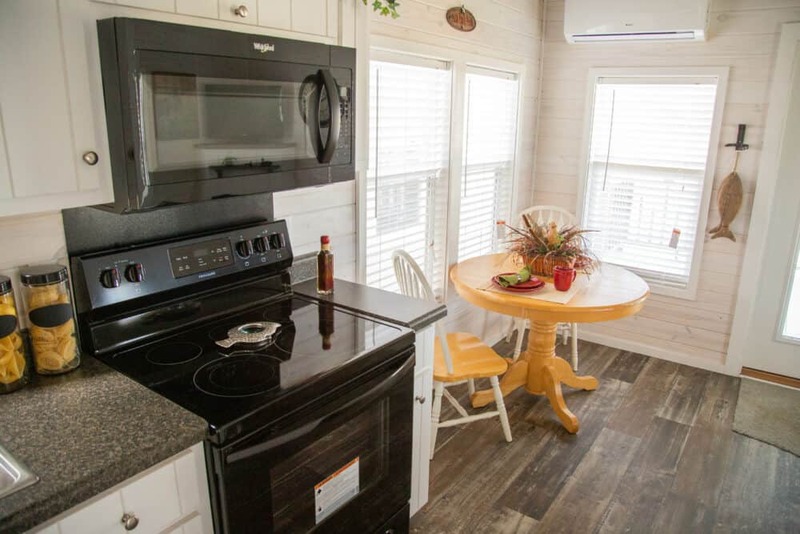 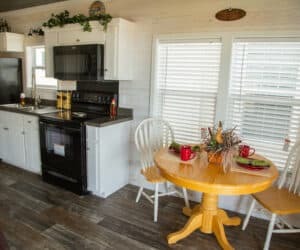 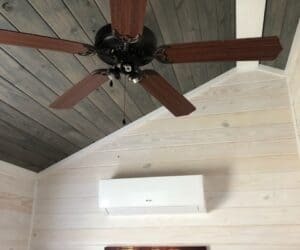 Tiny Home Living for the family is perfect in the Titus. 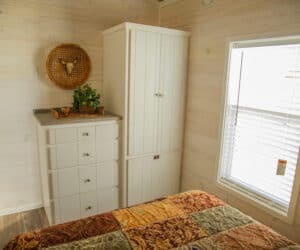 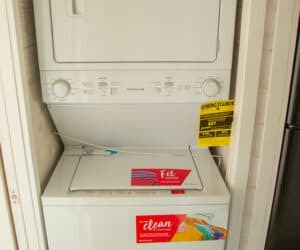 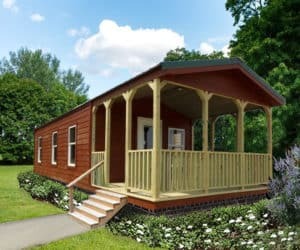 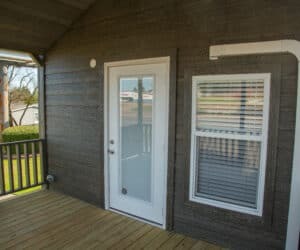 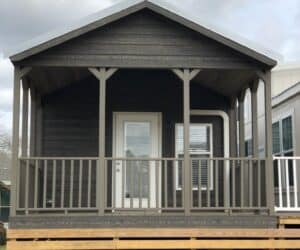 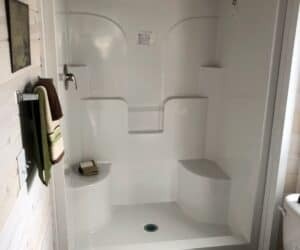 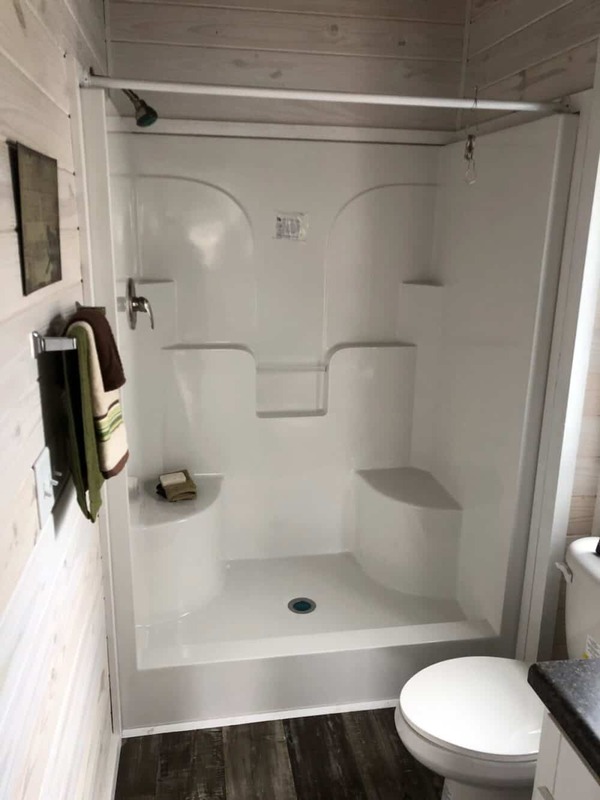 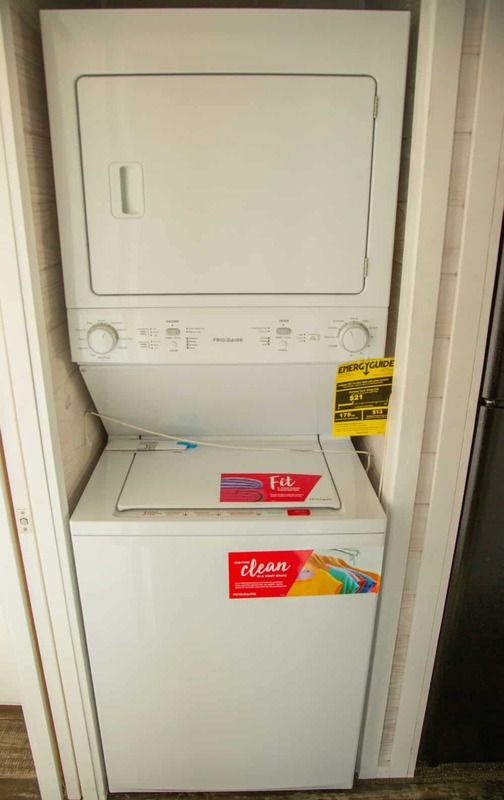 Looking for a 2 bedroom tiny home? 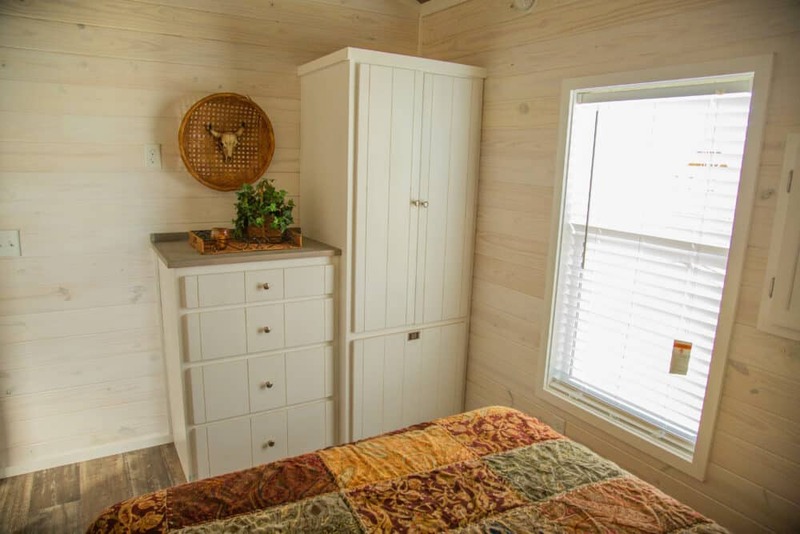 Need a tiny home that sleeps 6? 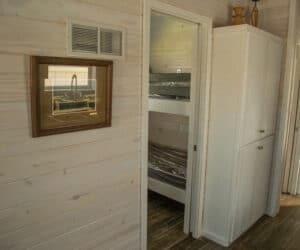 We’ve got it. 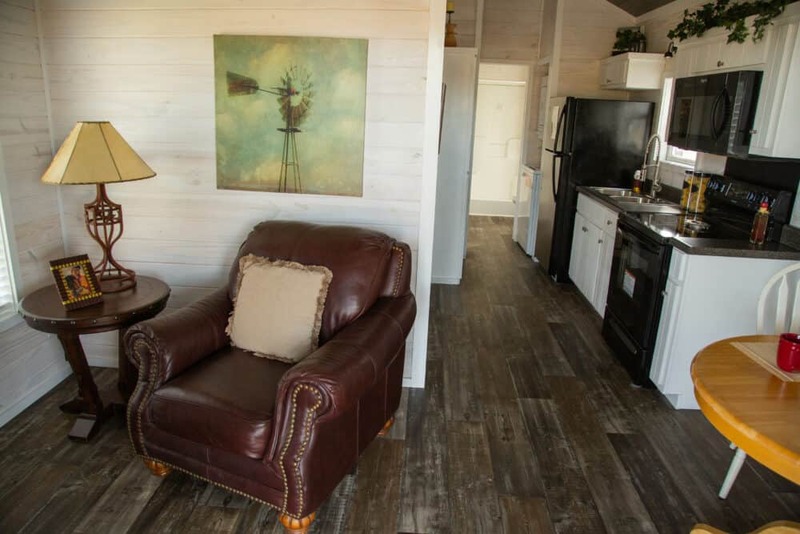 This rustic style tiny home would be perfect for lakeside living, or perhaps in the mountains. 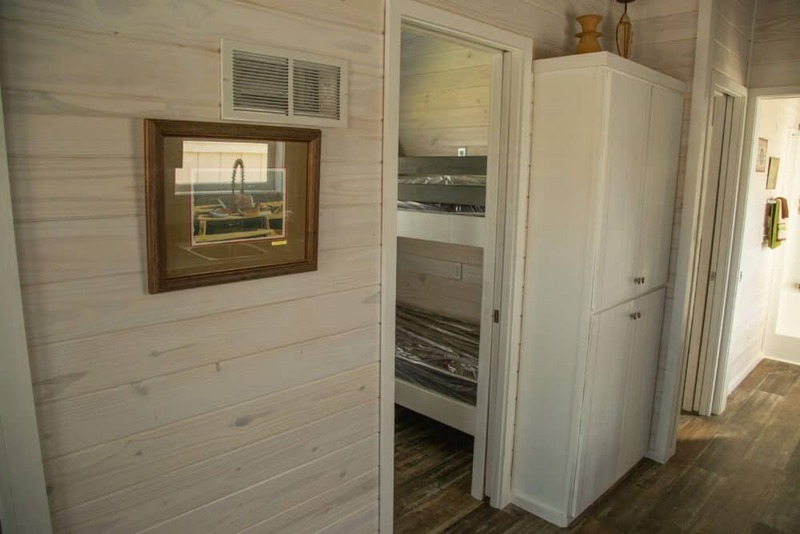 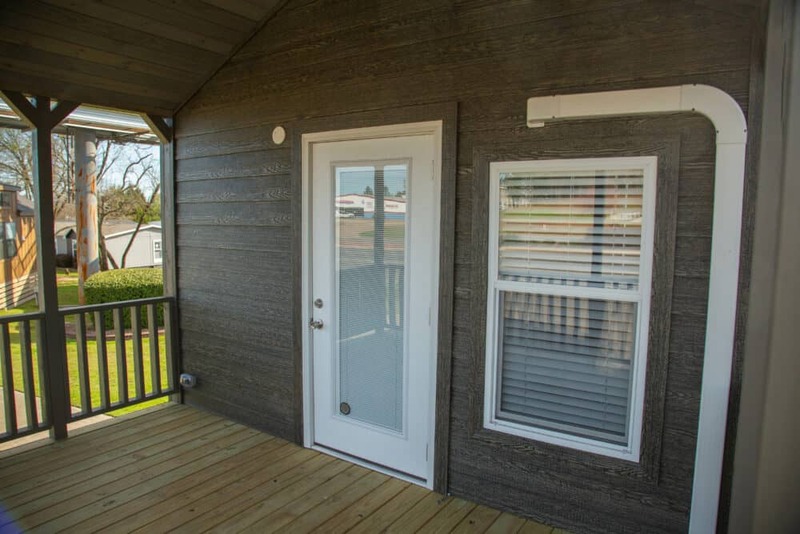 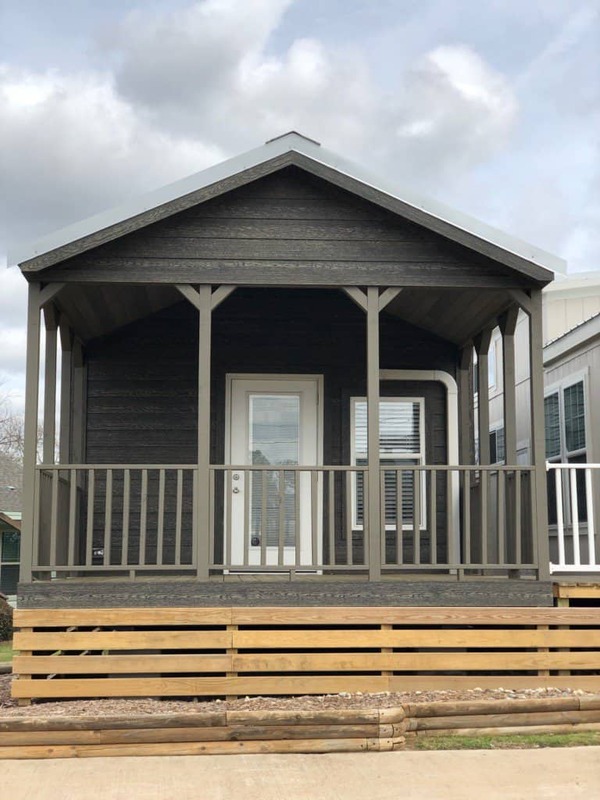 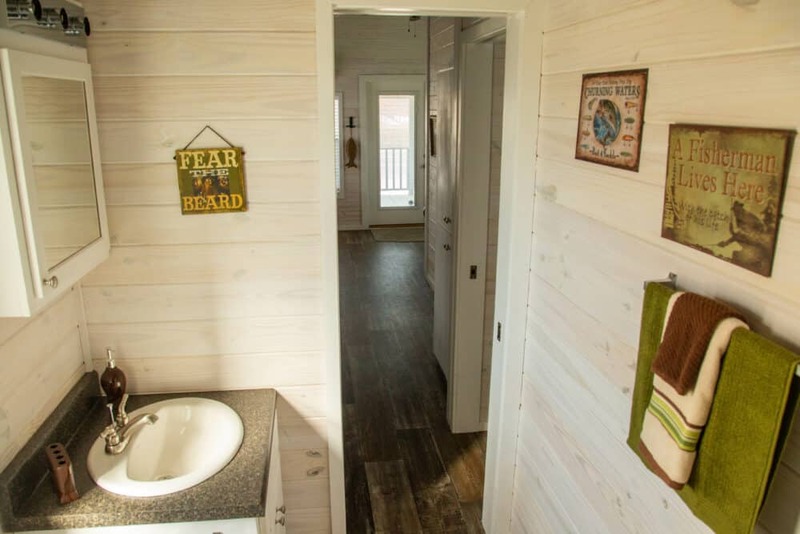 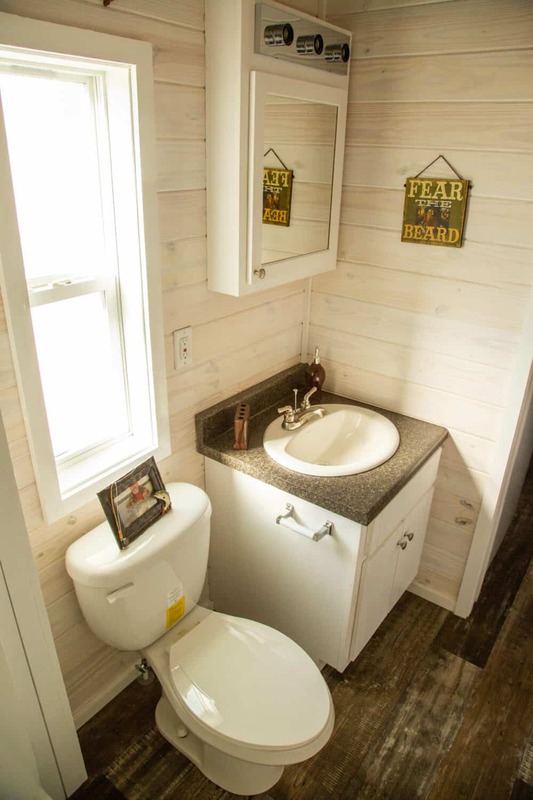 We’ll let you decide where to park this gorgeous 2/1 tiny home. 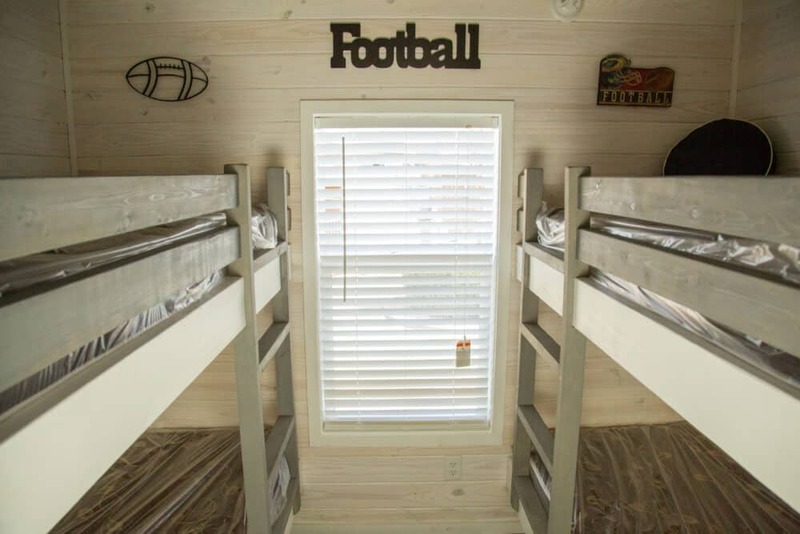 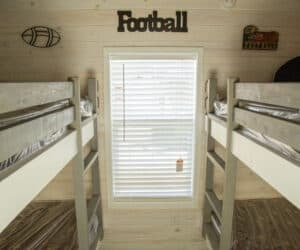 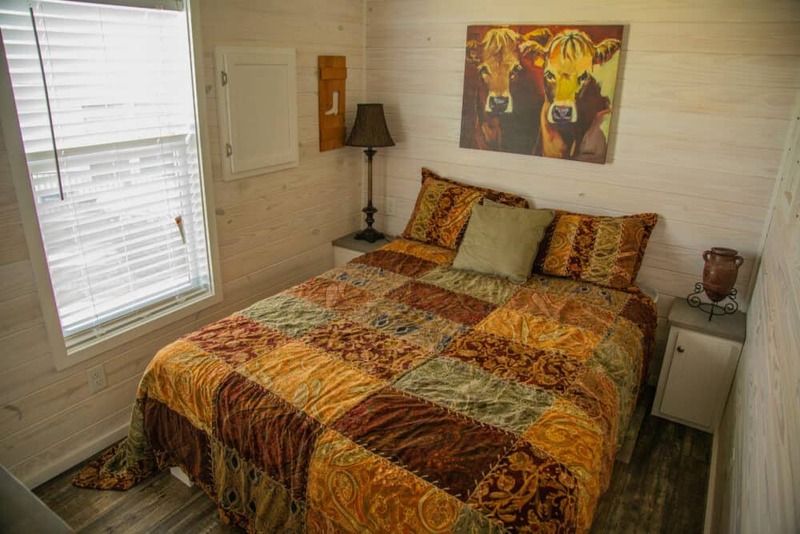 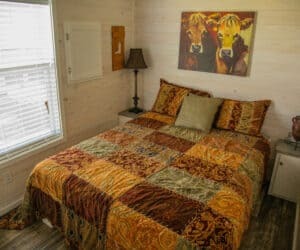 Sleeps 6 / Bunkbeds Furnished!